Have you ever wondered at the spelling of things – why is it spelled that way when phonetically it doesn’t make sense? Many parents of young children find it challenging when trying to explain how a word is supposed to sound one way when it’s spelling wouldn’t normally sound like that at all. 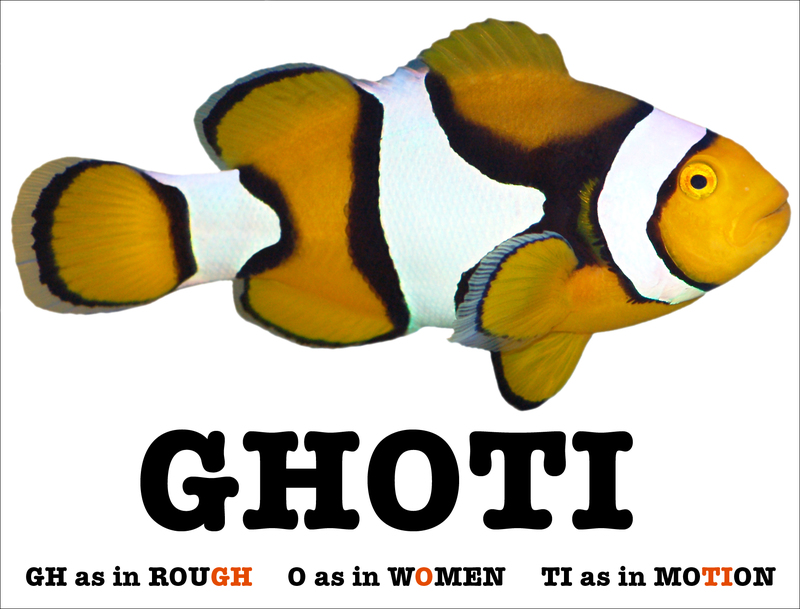 Ghoti: a constructed word used to illustrate irregularities in English spelling. Alexander Melville Bell was known internationally as a teacher of speech and proper elocution and an author of books on the subject. 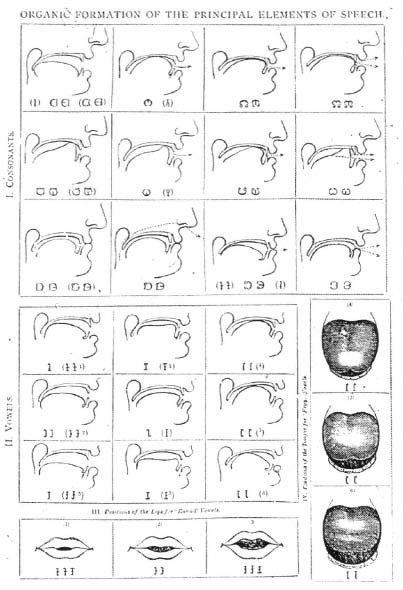 In 1867 Melville invented Visible Speech, symbolically depicting the position and movement of the throat, tongue, and lips as they produce the sounds of language, being a type of phonetic notation. 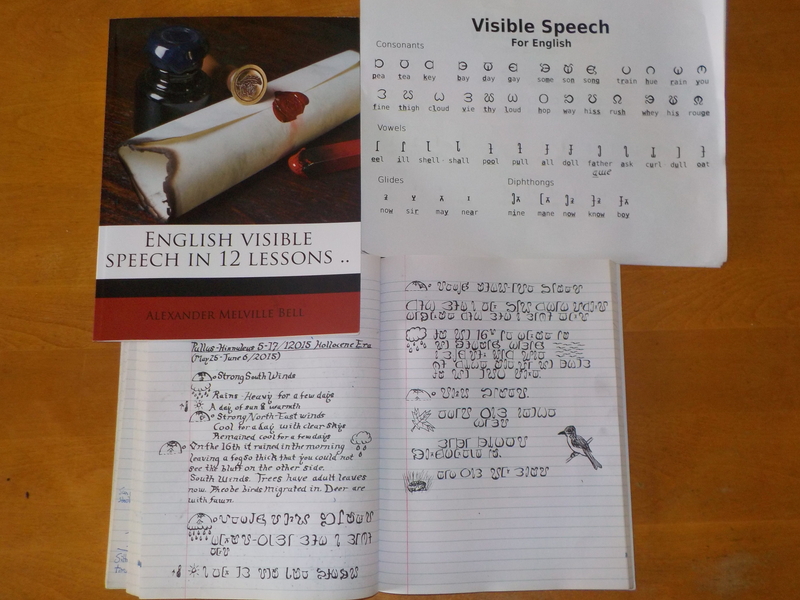 Visible Speech was the first notation system for the sounds of speech independent of a particular language or dialect and was widely used to teach students how to speak with a “standard” accent. Melville’s works on Visible Speech became highly notable, and were described by Édouard Seguin as being “…a greater invention than the telephone of his son, Alexander Graham Bell” Melville saw numerous applications for his invention, including its worldwide use as a universal alphabet. Visible Speech is also known as the Physiological Alphabet. In the Ehoah Path it is also referred to as Lingua Litarum (‘Speech Letters’). This can solve our spelling challenges once and for all, for all languages. It’s use by Saegoahs is encouraged to promote unity between peoples throughout the world, bridging gaps and encouraging more interaction between various languages and associated cultures. Bringing about more understanding and therefore more harmony. One way to practice this alphabet is to use it whenever you write something down, like a nature journal (see image below). And promote it in public images like posters and signs.